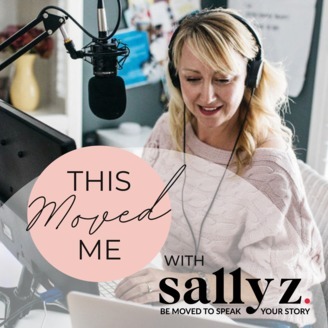 This Moved Me is a podcast on the art of public speaking for presenters (both amateur and professional) who believe that a good talk can move the world. Through casual conversation with experts in the field like Rob Bell, Vanessa Van Edwards, Nick Morgan, Julian Treasure, Jeff Goins, Michael Margolis and others - This Moved Me shares stories, insights and challenges from speakers who understand both the "art" and the "science" of what makes a good talk good. We end each episode with a THIS MOVED ME moment - sharing some of the creative resources that continue to inspire and inform our work as speakers. 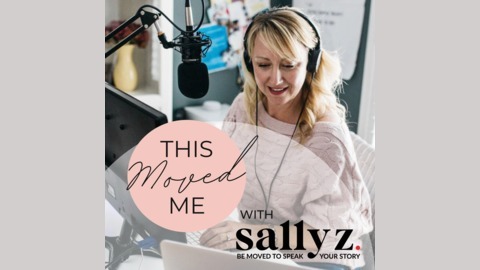 Hosted by Sally Koering Zimney–a speaker, performer and presentation coach with over 15 years in the field–This Moved Me culls the best advice and expertise from the field - because indeed, a good talk CAN move the world. How long should it take to prep for this big talk? My answer is typically: More than you think. With incredibly busy lives, juggling way more than one thing at a time - prepping for our talks often gets squeezed. Add onto that the mental and emotional challenge of developing a talk… well, avoidance and procrastination can take on a life of its own. I wish I would have taken more time for this. I wish I would have practiced this more. I wish I knew this better. I wish…. It’s 2019 - let’s do things differently this year.